remotely when you’re on-the-go with our easy to use server mode. Stay connected whenever, wherever you are. Bring your BBQ grilling to the 21st century! 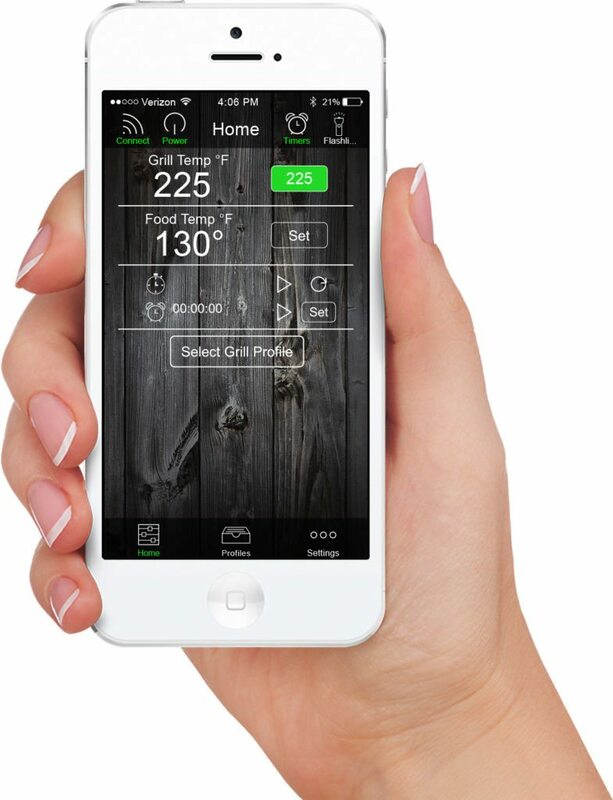 Downloading our app lets you grill with convenience from either the comfort of your home through WiFi point-to-point control or from wherever your day may take you through Server Mode which lets you control and monitor the grill remotely.